In Part 1, we discussed different kinds of fabrics used to make disposable cleanroom garments. Depending on the application, each has its own unique place in cleanrooms. As discussed, an electronics manufacturer will have different garment needs than a pharmaceutical manufacturer. Manufacturers would need to make decisions based on particulate control, sterility, and cross-contamination concerns. An interesting point that surfaced through research, however, is that comfort is one of the most important considerations when choosing the right garment. Solid State Technology (SST) posted a thorough article on cleanroom garments called, “Disposable cleanroom garment use and markets.” Here we will outline garment suppliers and their products. There are many considerations cleanroom operators must make when deciding on a garment for the cleanroom. Different uses and requirements will dictate whether disposable or reusable is more appropriate as well as what material is needed for the application. For medium to high-risk environments, disposable garments tend to be more cost-effective. We will focus on qualities of disposable garments here. 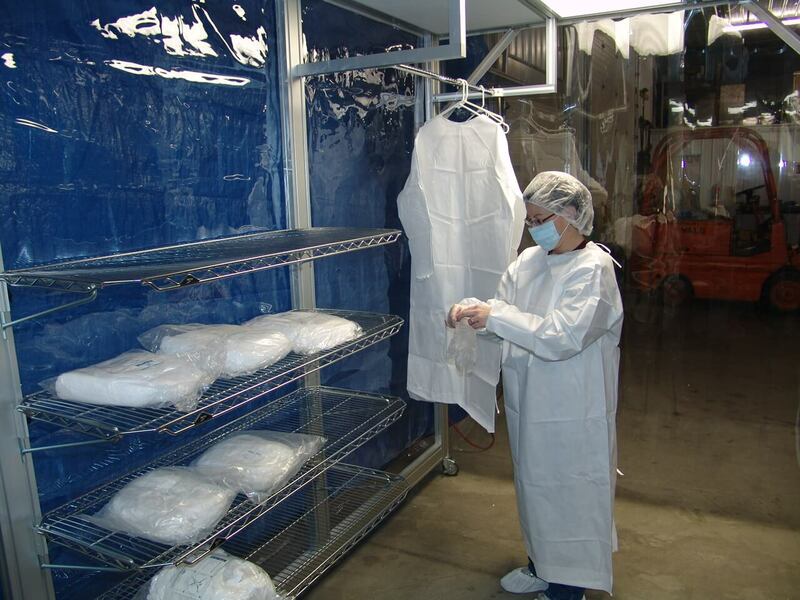 Different industries have separate needs when it comes to their cleanroom garments. For example, pharmaceutical manufacturing looks at particulate control and sterility. Electronics manufacturers would be most concerned with particulate. Biotech companies are concerned about cross-contamination. Each manufacturer will be interested in different qualities of fabric and suppliers. Gerbig Engineering has encountered many unique manufacturing scenarios over the years and the flexibility of the AireCell system in conjunction with our engineering experience makes for high performing low cost solutions. 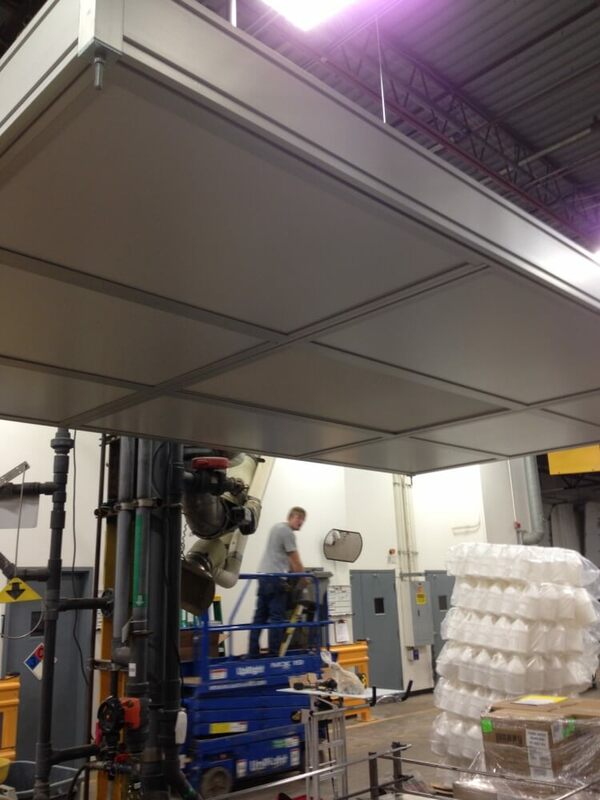 When a GEC customer needed to get some clean air over an exposed process but without space to add any walls or vertical supports AireCell modular extrusions were used to create a structural ceiling section that was hung from the existing building structure housing a FFU and allowing clean air to flow over the process without interference. 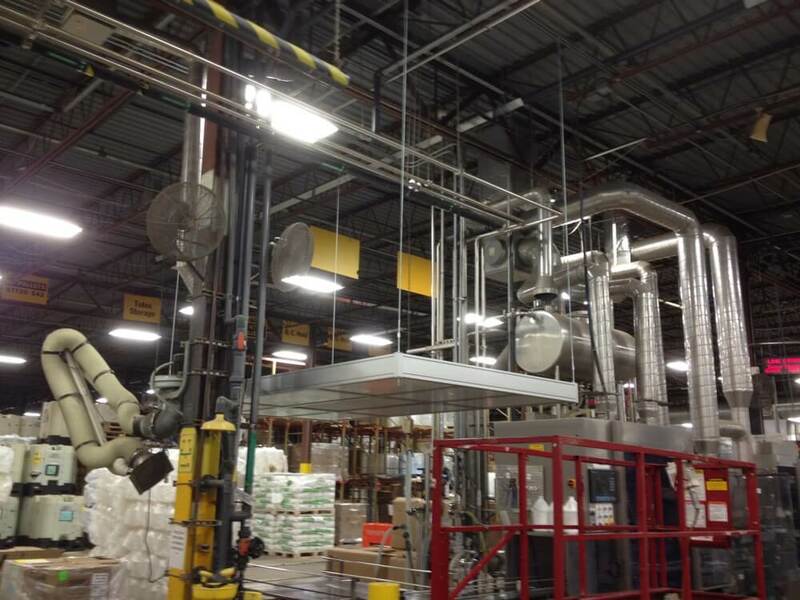 AireCell extrusions were able to provide a quick and cost effective solution.